Cardiff Blues centre Jamie Roberts believes Rob Howley will have no problems stepping up to his caretaker role with Wales this summer. Wales are set for a tour Down Under to take on Australia over three Tests and face the Barbarians in what will be a busy summer for the Grand Slam champions. However, they undertake the schedule without head coach Warren Gatland, who suffered fractures to both heels during an incident in his New Zealand home earlier this month. The Kiwi is set to sit out the summer's action with a mind to return for the autumn internationals followed by the Six Nations next season. Howley has been brought in to take up the role and Roberts believes the former British Lions scrum-half is the right man to fill the void on a caretaker basis. He said: "Rob commands respect off all the players. 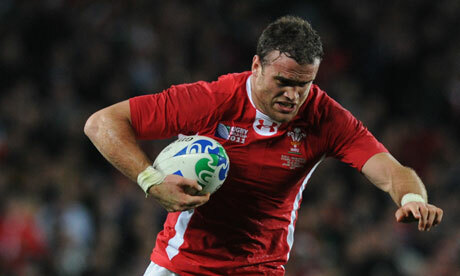 It's an opportunity for Rob and the guys with Wales to really make their mark and show they can take charge of a team. "Certainly I've found my game has improved massively under Rob and I'm sure all the backs would agree."